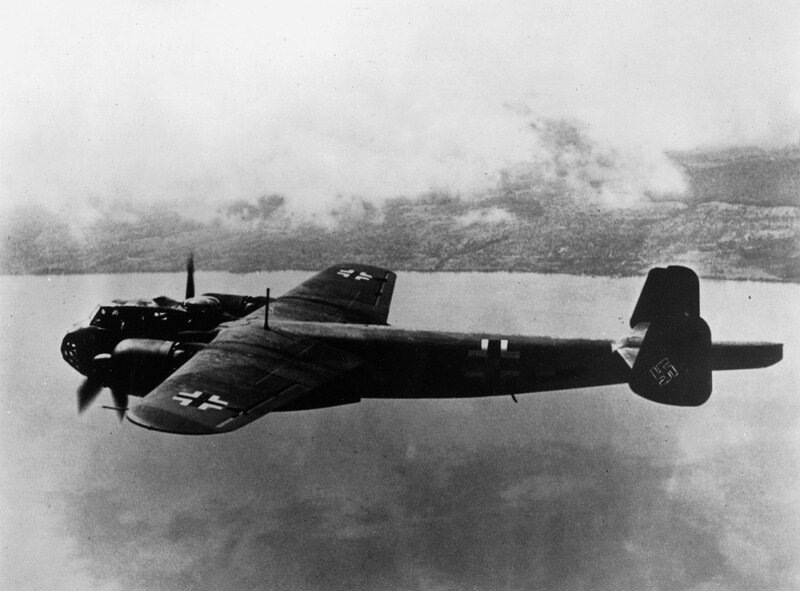 The Do 217 was Dornier’s response to a 1937 requirement for a long-range warplane optimized for the heavy level and dive-bombing roles, though later it was used in a variety of roles, even as a test bed for missile development. The Do 217 was in essence a scaled-up Do 215 version of the Do 17, and first flew in August 1938. The first operational model was the Do 217E of which some 800 aircraft were built in Do 217E-0 to Do 217E-4 sub-variants with BMW 801 radial engines. These were followed by the Do 217J, a night-fighter developed from the E which was structurally similar except for a redesigned solid armoured nose with a forward-firing armament comprising four 20mm MG FF cannon. It proved to be a potent aircraft. Other variants were the Do 217K night bomber distinguished by a revised and unstepped nose, and finally the Do 217M development of the Do 217K with DB 603 inverted-Vee engines. Prototype and pre-production variants were the Do 217C bomber, Do 217P high-altitude reconnaissance, and Do 217R missile launching aircraft. There were also five Do 217E and two Do 217K sub-variants, notably the E-5 and K-2 (which had longer span wings), which were armed with Hs 293 anti-ship missiles and Fritz-X 1400 radio-corrected armour-piercing bombs respectively.